Invented by Daniel Cyr of Canada’s Cirque Eloise at the end of the 20th century the Cyr wheel is one of the most spectacular and dangerous circus disciplines. Like the figure in Leonardo da Vinci’s famous drawing, the performer is contained in a slender steel hoop, arms and legs stretched taut, spinning like a gyroscope. 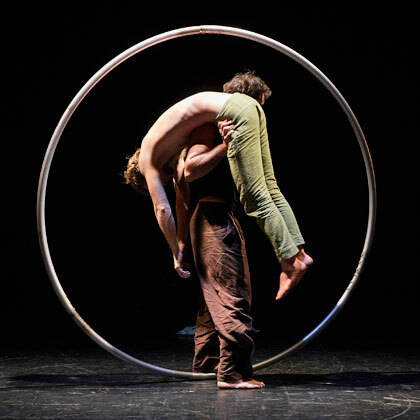 Trained at France’s top circus schools, Juan Ignacio Tula from Argentina and Swiss-born Stefan Kinsman who was raised in Costa Rica, are two brilliant Cyr wheel artists, who make thrilling theatre from their expertise. 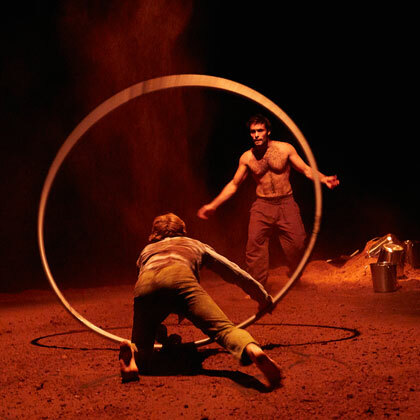 Santa Madera (in Spanish – sacred wood) is inspired by indigenous South American rituals, with choreography that seems to hurl the artists through time and space, evoking the violence of combatants in a pagan power game. Whirling at the limits of control, they tell their story through amazing strength and agility, bravery and grace. 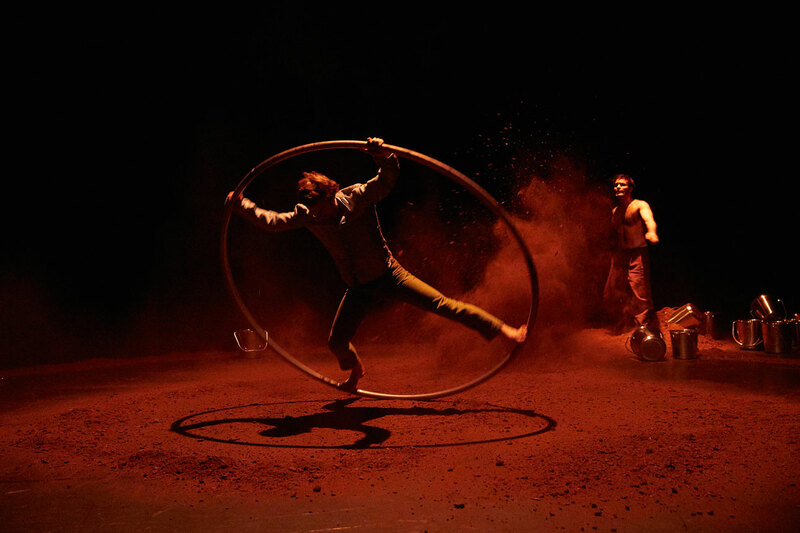 Santa Madera is the duo’s second production, created in 2017 under the guidance of acrobat/trampoline genius Mathurin Bolze, whose Mpta company has produced some of the festival’s most breath-taking shows of recent years including last year’s hit, Barons Perchés. It will leave you breathless. 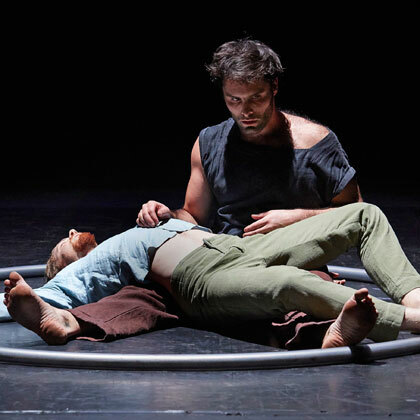 "A gorgeous offering, filled with lyricism and virtuosity"
Scène Nationale de Gap et des Alpes du sud.